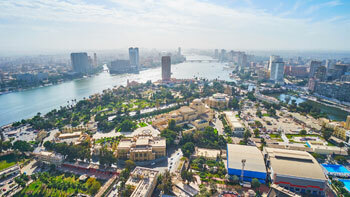 Radisson Hotel Group is proud to announce the signing of six new hotels in Egypt as part of a portfolio deal across a number of its brands. The agreement was signed with existing business partner Zaghloul Holdings, a Cairo-based business conglomerateoperating in real estate, contracting, tourism, commercial retail, entertainment and sports investment industries. The six hotels: Radisson Collection Hotel Cairo Heliopolis, Radisson Blu Serviced Apartments Cairo Heliopolis, Radisson Blu Hotel Cairo Golf City, Radisson Hotel New Cairo, Radisson Hotel & Resort Ain Sokhna and Radisson Blu Hotel & Resort Makadi Bay, Hurghada will mean Radisson Hotel Group becomes one of the largest international operators in the country and will also cement Radisson Blu’s position as the leading brand in the city in the coming years.